Despite the reservations of the secret service, US president Barack Obama will keep his BlackBerry, albeit with a few compromises. Obama had been battling to keep his handset, which he used extensively during his campaign to win his place in the Whitehouse, and it's clear that being the President carries quite a bit of weight. Despite fears that the phone could be used to track the President and concerns over which emails would have to be entered into public records, Obama has won his battle, but he will have to trim his friends list down. "The President has a BlackBerry [because of] a compromise that allows him to stay in touch with senior staff and a small group of personal friends in a way that use will be limited," said White House spokesman Robert Gibbs. 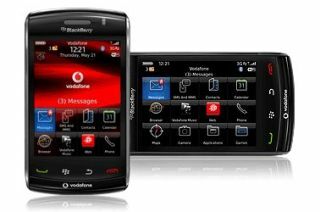 Apparently the security on the device has been beefed up, although there has been no discussion as to whether RIM played any part in adapting their phone for its most famous client.